Everything you need to know about Croup. Anytime your child becomes ill, it can be terrifying. Respiratory illnesses are especially worrisome and are known to pack some of the most alarming symptoms. If your child has ever been diagnosed with croup, you know just how unsettling those symptoms can be. 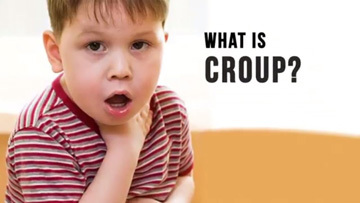 Learn the warning signs and symptoms of croup, as well as vital information on who is at risk, treatment, and prevention of croup from top experts Dr. Nina Shapiro, MD, Dr. James Varga, MD, and Dr. Jay Gordon, MD. nasal congestion, and lasts for three to five days on average. “This is a child who has a cold, maybe a little bit of a fever, and in the middle of the night, you hear what sounds like a seal barking. It really sounds like you have a seal in your house. The child wakes up, barking like a seal. The reason they are doing that is because there is some narrowing in their windpipe that's infected from the virus,” explains Pediatric Otolaryngologist Dr. Nina Shapiro, MD. Croup can appear seemingly all at once and without the warning signs of an existing cold, or include cold-like symptoms that persist once the croup infection has subsided. Symptom severity usually peaks at night. Croup is usually a viral infection caused by parainfluenza, but on rare occasions it can be the result of a bacterial infection. Viral germs are spread through the air or picked up on contaminated surfaces and can then cause a croup infection to follow. Croup is most frequently seen in infants six months to eighteen months in age, when the airways are still growing–making them more vulnerable during swelling and inflammation. Croup becomes uncommon after the age of six years when the respiratory system becomes larger, firmer, and more developed. Older children and adults are not immune to the illness, but are unlikely to experience the severe cough and difficulty breathing. Because their respiratory systems are larger, firmer, and more developed, inflammation caused by croup doesn’t cause such drastic, noticeable breathing issues like it does for infants. Instead, croup in older children and adults presents as a sore throat and common cough. Croup is highly contagious and easily spread through coughing, sneezing, and contact with a contaminated surface– just like the common cold. Croup outbreaks occur most often during the fall season, but infection can happen throughout the year. The incubation period for croup is two to six days. In most cases, croup is considered to be one of the more mild viral infections, with only 5% of emergency room cases needing hospitalization. A child with croup should nevertheless receive treatment by a medical professional and their home care provider to get accurate diagnosis and thorough treatment. The treatment options for croup depend on the severity of the case, as there are at-home symptom remedies for milder infections as well as emergency, fast-acting medications for those who require immediate relief. Determining whether your child’s croup can be treated at home or by a hospital should be up to their health care provider. “Any child with croup who has had difficulty breathing at night time should be seen by the pediatrician in the morning, and if the breathing does not improve, they should be taken to the emergency room,” advises Varga. See Your Doctor: Have your child evaluated to make sure that their symptoms are indeed croup and not something more serious. A doctor will also be able to determine if the child should try at-home remedies or receive further medical attention. Humidity: Run a hot shower to steam up your bathroom and let your child breathe in the humid air for 15-20 minutes. Cool Air: Run a cool mist dehumidifier in your child’s bedroom once their attack has subsided to help them get through the rest of the night. 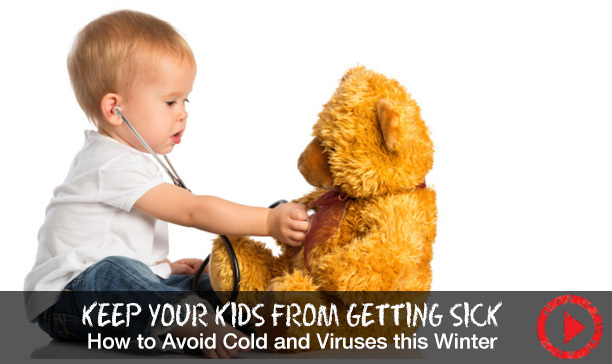 Taking your child out into the cool, night air, if possible, can also relieve their coughing. Rest: Because croup is usually a virus, the body will get rid of it on its own with plenty of rest and proper nutrition. Stay Calm: A strange, loud cough combined with difficulty breathing can make a child panic. Try to present a relaxed front so that your child also calms down. Acetaminophen for pain relief and reducing fever, but never give aspirin to a person under the age of 19 who may have a viral infection! Inhaled epinephrine by nebulizer. Also known as adrenaline. Antibiotics in the rare cases where croup is caused by a bacterial infection and is not viral. Oxygen therapy, including placing an oxygen tent over a crib for infant cases. Young children should not be given cough medications, which can make them drowsy and thereby require more effort to breathe. Cough suppressants may also stop children from expelling mucus that is clogging their airways. “Sugar binds up the antibodies that the immune system is producing to stop the viral illness. A kid who’s eating a high sugar diet is going to get sick more often,” says pediatrician Dr. Jay Gordon, MD. Pediatrician Jay Gordon, MD, shares the most effective ways to help your child avoid cough, cold, flu, and illness to keep them happy and healthy all year round.